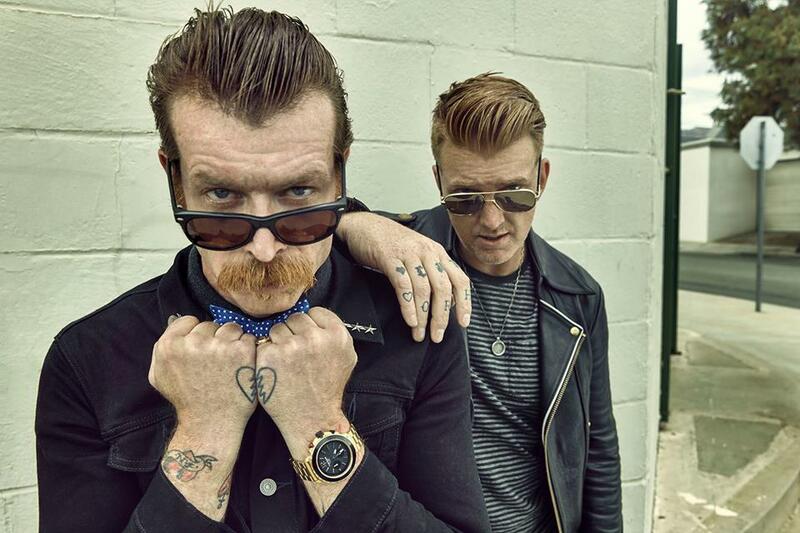 According to AUX, a fight between two males attending Eagles Of Death Metal's May 7 concert in Toronto resulted in one of the fans getting his ear bitten off. The Opera House's general manager Athena Ellinas-Towers has since told AUX: "I didn't witness anything, but there was a confrontation between two individuals. It was brought to my attention by the medical attention. The one gentleman that instigated the whole thing was arrested and charged. I'm not sure of the charges; I just saw him being arrested. The police haven't followed up with me yet. We called them because this is a serious offense." She also revealed that a female member of the crowd picked up the detached body part and handed it over to venue staff, who put it on ice until passing it along to medical personnel once an ambulance arrived. "A customer picked it up, because I didn't know where it was. She put it on ice and we gave it to the ambulance when they arrived. I asked the police to follow up with me but they never did. This is a first, let's say. I didn't actually believe it when someone came up to me and told me what happened. It's just bizarre." Eagles Of Death Metal fan Jason Taylor told AUX: "The guy whose ear was bit was standing in front of me while they applied ice, before he was moved to the entrance area where they gave him a stool to sit down while waiting for the ambulance. I saw his ear, and for the record, it was the top 1/3 that was bit off (not the whole ear, not that this makes what happened any better). The guy who did it looked totally unphased by what he had done. Saw him in cuffs outside as I was leaving too. He had the same unphased expression on his face. It was a horrible thing to happen at any concert."